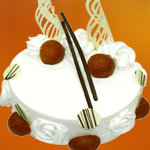 Corporate | Cake Shop Mumbai, Best Cake Shop Mumbai, Order Chocolate Cakes, Order Fruit Cakes, Cream Cakes in Mumbai, Deliver Cakes in Mumbai, Cakes for All, Cakes in Mumbai, Best Cake Shop in Mumbai, Cake Delivery all over Mumbai, Premium Cakes of Mumbai, India. ‘Hangout Cakes & More’ a brand owned by Aaro Foods Private Limited are pioneers for Cakes, Pastries, Chocolate and Brownies. One of the most Prominent brand in Mumbai, the Company has been predominantly serving retail customers over a decade and operates through state of an art manufacturing facility located at Charkop, Kandivili, Mumbai. The Company has over 15 outlets in Mumbai and strategically placed at ideal locations. The Company is also known in the market for its quality, taste, nutritional properties, textures, shelf life before it reaches to the end customers. In the recent customer satisfaction survey conducted by us across Mumbai, we have found that customers are highly positive about CAKE’s superior taste, features, textures, consistency and rated as “much better” or “exceptional” than other competitors. That gave us enough encouragement to diversify, venture into slightly different customer base viz. to tie up with the Corporate esteemed organisation like yours for a long term association. Reaching out to Corporate customers was always on the cards, however, we have consciously decided to venture only after positioning ourselves as ‘Best Brand’ in the competitive market. We believe, with pervasive ballot of products and robust team size, we are ready to meet your demands at an ambitious price and ensure no stone is left unturned in delivering what we believe ‘Quality in Everything We Do’. From a big occasion or to enjoy a small triumph, Hangout Cakes specializes in creating personalized corporate gifts that make celebration as ‘memorable’. From managing orders of any size to help you on time delivery, we promise an unique corporate gifting experience. Do call us to learn how we can make your experience a ‘Unique One’ and make every celebration a memorable one.